Ken Yager fell in love with Yosemite as a 13-year-old when his dad pulled over and let him run to the base of the 3,000-foot monolith called El Capitan. When he touched it for the first time he said it felt like magic. "It was like sparks going into my hand," Yager said. "It was just really intense. It changed my life. I just became infatuated with the place." Yosemite National Park is known to have some of the best and most challenging granite climbing in the world. Yager moved to the Yosemite area in his late teens. 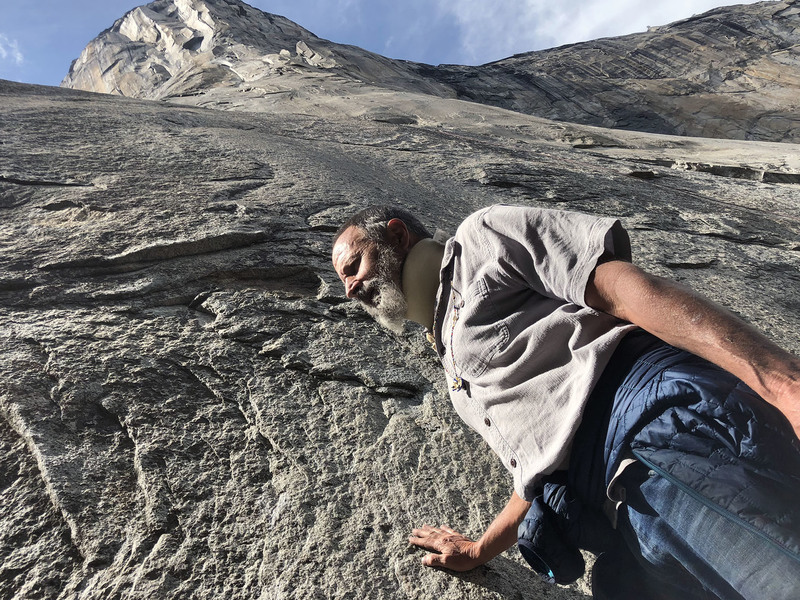 He's now in his late fifties and runs the Yosemite Climbing Association, a nonprofit that supports climbers in the park. Back in the day there wasn't much support — in fact, climbers weren't always adored. Yager said they were viewed as long-haired rebels. They'd stay in the park longer than allowed, scrounge for food and partied. "We had no money, so we weren't very welcome because we weren't adding to the economy up here — like taking showers, sometimes you kind of had to sneak in," said Yager. "It kind of forced you to be a criminal." He says that's almost entirely changed now because the sport has gone mainstream with an estimated 150,000 climbers per year trying their skills in Yosemite. The big equalizer? "Climbing gyms have really got people out on the rock," said Yager. 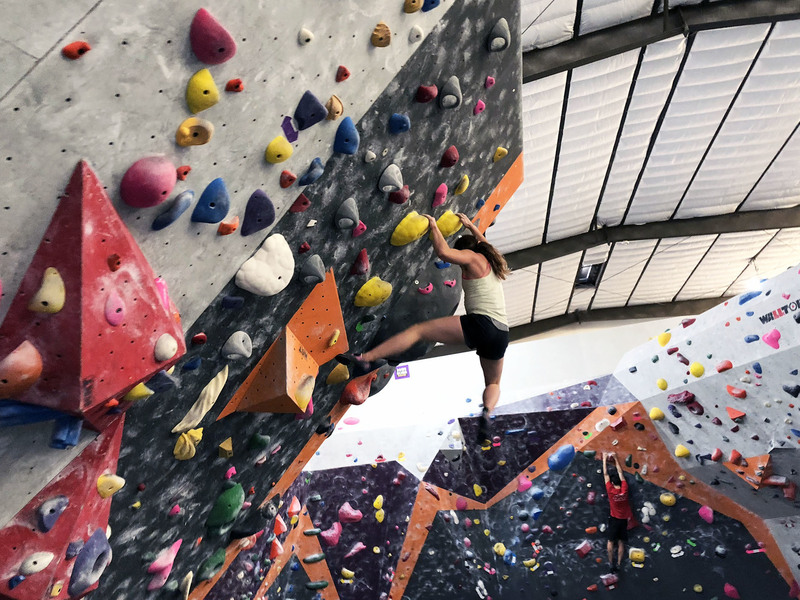 There are now more than 700 indoor climbing gyms in the U.S. and more than 40 gyms opened just last year. It's not just a solo sport in Yosemite anymore, climbers come in packs after training in the gyms. James Mullerleile climbs at a gym in Sacramento called Pipeworks. "There should be no noise," when climbing, he explained. "That means that's no rubber rubbing into the wall." Today he's bouldering, climbing big rocks or small walls without any ropes. Mullerleile says indoor climbing gives him the confidence he needs to climb outside where the challenges are far greater. "In the gym the rope climbing aspect has helped me go for the move, knowing that it's going to be fine," Müllerleile said. Another part of climbing that has changed in recent years is that some climbers have become celebrities. Alex Honnold is the perfect example. 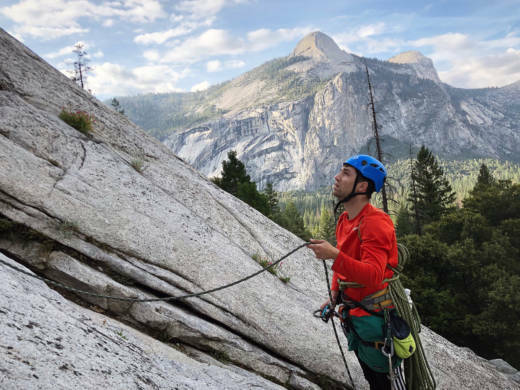 "Climbing is totally different than it was 50 years ago," Honnold said. "Year by year everybody is doing something a teensy bit harder than last year." Last year, Honnold did something no one had ever done and it could be the greatest feat in rock climbing history. He climbed one of Yosemite's most famous monoliths — El Capitan — without any ropes or any safety gear. "Looking up at El Cap it still looks just as impressive, just as outrageous," Honnold said. "It's very satisfying to have free-soloed El Cap." This climb made him famous — he made an appearance on The Today Show and his feat was chronicled in a new documentary called 'Free Solo'. Honnold and other celebrity climbers have influenced newbies like Jude Fouquier and Dan Fomenko. On this day, they were climbing at a place called the Grack on the southern edge of Yosemite Valley. Fomenko was sprawled across the rock face about 20 feet above us. Fouguier guided his partner up the cliff, "Dan, do you think you're going too far to the left? I would just go straight up this. There you go," he directed. They've caught the climbing bug, but aren't planning to free solo El Cap anytime soon. "However, I still have goals," Fomenko said. "I do want to climb the nose on El Cap one day and, if we start getting really good and this becomes more of our life, it could head that way easily." Fouquier and Fomenko are just two regular guys from California. They are by no means extreme athletes or outdoor rebels. But suburban gyms and watching risk takers got them off the couch and onto the rock.